Sakura (佐倉) is a castle town located 20 min. from Narita International Airport. There are many remaining Samurai houses since Edo Period. It's a town of Samurai. Sakura offers ruins of castle, real Samura houses, and many museum. Some sceneries in Sakura, have not changed since Edo Period. All spots are walking distance from the station. It will be nice half-day walking. Use Keisei Line and Keisei-Sakura Station if you are coming from Tokyo. ... is the biggest remaining Samurai residence in Kanto. There are 5 remaining Samurai Houses and 3 of them are opened public. All houses in this street have the earthworks and living fence for their defense. This view of Samurai street has not changed since Edo Period. ... is one of remaining Samurai houses located in Samurai street. It is the oldest houses which built in early 19th century. Kawara House was the house of Samurai with 300 koku which is the high-rank Samurai in Edo period. 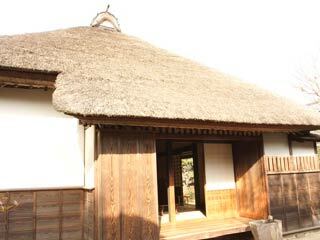 The house remains in a great condition and offers the life of High-rank Samurai at that time. ... was built in 1890 by the last Daimyo of Sakura, Hotta Masatomo. The house and some of the buildings are registered as the important hisstorical asset of Japan, and the garden is chosen as the view of Chiba. The garden has all seasonable aspects. Sakura Castle was built in 1618 by Doi Katsutoshi. Tokugawa Ieyasu ordered to built this castle for the protection of Edo from east. All of the buildings were abandoned after the Meiji Restoration. However the structure of the castle, moats, dry moats and earthworks are preserved well. It is also popular Cherry blossom spot in Sakura. ... is the oldest remaining hospital in Japan. It was built in 1858 as the Dutch school and hospital. There are many books which written in the students, and real surgical tools of Edo period. Complete Tickets for Samurai Houses and museum. It's a ticket for Samurai houses, Hotta House and the memorial museum of Juntendo. You can buy this tickets at any of those three spots. It is very reasonable.